HeadShotDomain.net » Forums » News » Google Chrome new look, & How to change it back. 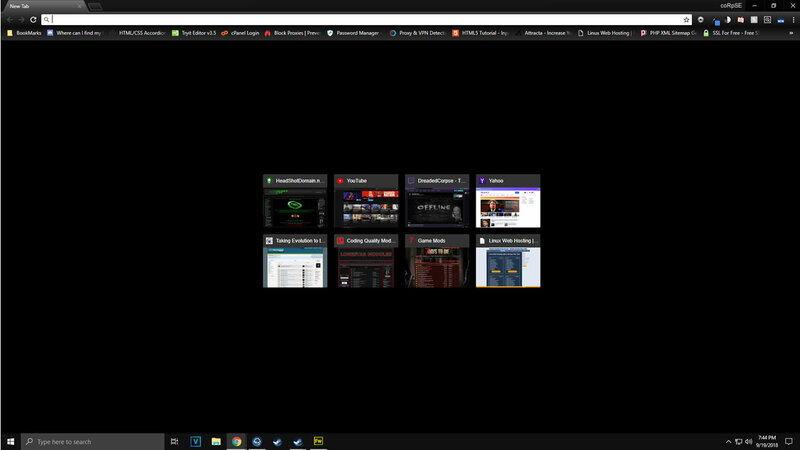 HeadShot Extreme :: View topic - Google Chrome new look, & How to change it back. Google Chrome new look, & How to change it back. Posted: Wed Sep 19, 2018 6:25 pm Post subject: Google Chrome new look, & How to change it back. Well, after 10 years of service, Google Chrome pushed out an up date on the 4th to everyone revealing their new look. For some people like me, I didn't get this until 2 weeks after it was first released. The new design includes rounded shapes and tabs, a fresh color palette, and updated icons. Google is updating the whole of Chrome to include this new user interface, and altering prompts, menus, and URLs in the address bar to match the new design. It’s a big overhaul. The new rounded tabs are perhaps the most noticeable change, moving Chrome away from the trapezoid-like shaped tabs that have been available for years. Chrome’s new tabs are designed to be easier to see at a glance, which may be useful for those who like to have far too many tabs open in their browser. But is this really the right direction to go and is the new style "better"? Many have already voiced a disdain for the new look, including myself. When I first saw this, I was in complete and utter disgust with the new look and set out to try and figure out how to revert it back. After hours of digging, I was able to find a way to roll back the ugly changes back to the Chrome that I like and want to use. And for those of you that are like me and absolutely hated the new look, don't fear, coRpSE is here with the solution to fix that. 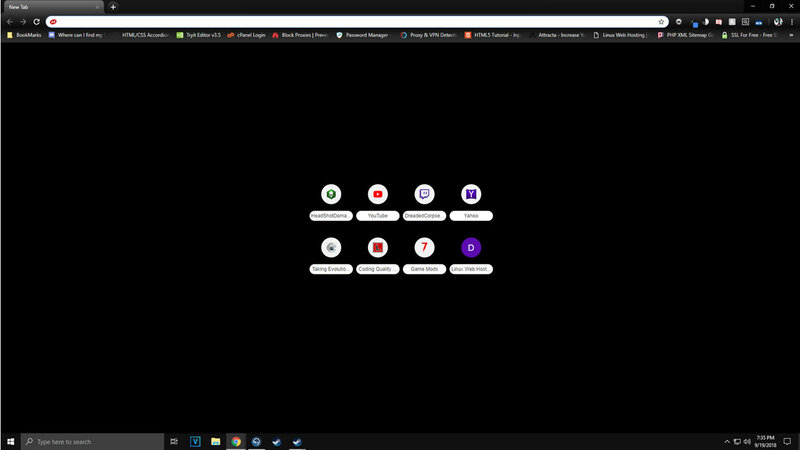 For those of you that don't know what I am talking about here, here are a couple of screenshots of my browser and see if you can spot the differences. Some may not be as noticeable as others, but trust me when I say, there was enough to drive me to rage in disdain over the changes. Well, for those of you like me that hate it, well I will tell you how to go back to the old look. Follow these 4 steps and you will be gold. In the search at the top, search for UI Layout for the browser's top chrome and change the drop down from saying "Default" to "Normal". Again, in the search, do a search for Material Design in the rest of the browser's native UI and change that to "Disable". Lastly, in the search yet again, do a search for New Tab Page Material Design UI and change that to "Disable". Once you have done all that, you will see at the bottom a prompt to restart your browser, click the okay and you should be all set. I hope this helps some of you and as a community, we can keep information like this going out to everyone and keeping everyone happy.